Health and Human Services Secretary Alex Azar during an interview at the 2019 National HIV Prevention Conference in Atlanta. Speaking at the National HIV Prevention Conference in Atlanta on Tuesday, Health and Human Services Secretary Alex Azar spoke about the administration’s initiative to a group pf providers and community experts. In his remarks, Azar highlighted key areas that he hopes his department focuses on, which include, stigma, affordable prevention and proper diagnosis. In 2016 and 2017, more than 50 percent of the new HIV diagnoses occurred in just 48 out of over 3,000 counties nationwide. Azar spoke about the coordinated effort between federal and local organizations to combat the HIV epidemic through a strategic plan that includes diagnosing, treating, protecting, and responding differently to the epidemic. According to the most recent findings put out by the Centers for Disease Control and Prevention, there are on average about 40,000 new HIV diagnoses each year, which has remained stable since 2012. 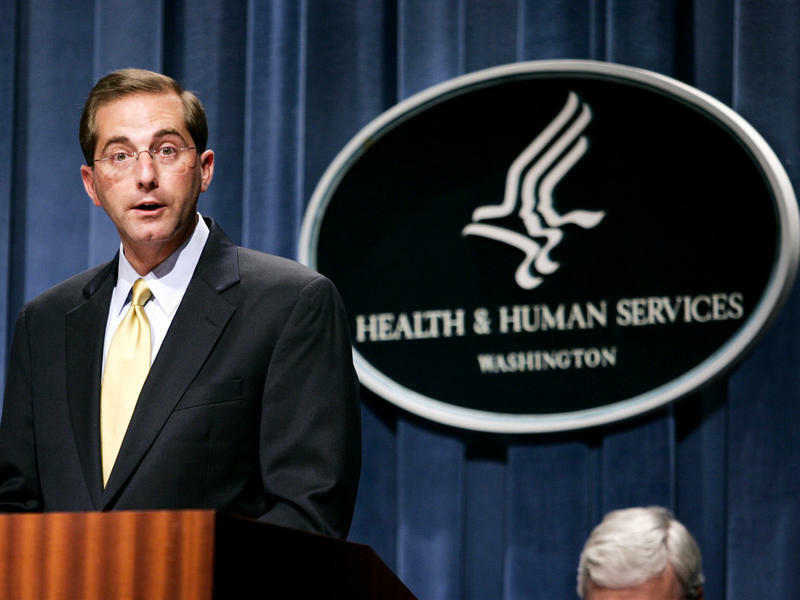 Azar believes that with the implementation of HHS’s strategy that they can reduce the new infections by 75 percent in the next five years, and by at least 90 percent in the next 10 years. In a one-on-one interview, Azar said that four of the highest concentrations of HIV infection are counties throughout Atlanta: Cobb, DeKalb, Gwinnett and Fulton. In his proposed 2020 budget, Trump has allocated 291 million dollars towards domestic efforts to reduce and eventually eliminate HIV; 140 million dollars will be given to the CDC here in Atlanta in an effort to help the initiative. With larger access to affordable medical insurance and with lower cost of PrEP, we may begin to see a decrease in the numbers of those infected with HIV. HIV is a highly stigmatized disease. Azar says that we must begin to think of HIV as a public health concern and work to destigmatize it so that we begin treating it thoroughly and can help a wider range of people. “New infections are also disproportionately concentrated in places where socio-economic and cultural barriers to treatment and prevention remain high, including the South,” he said. To curtail the stigma that sometimes comes up in governmental agencies, HHS will “lead by example” Azar said. He said people will see the HHS logo, the CDC logo, the HRSA logo, the FDA logo, and the NIH logo, all over everything, and he hopes state departments will follow their lead.